Do you know customer engagement has become the way of life instead of a need of the business? The brand cannot be established without developing the relationship with the customers. When we talk about the customer relationship, we mean to say that it must be an emotional relationship as the highly engaged customers never prefer the other people if they are your satisfied customers. Another benefit which can be availed is that these people not only buy your products and services, but also help you in promoting your brand, products and loyalty. All this discussion has proved that customer satisfaction is the main ingredient in developing customer engagement strategy which will ultimately help you in developing your business into a brand. This importance has increased the value of CRM software, especially in the UAE and other Gulf estates. This evolution has been experienced in the last decade and business owners are now really concerned about customer relationship management. 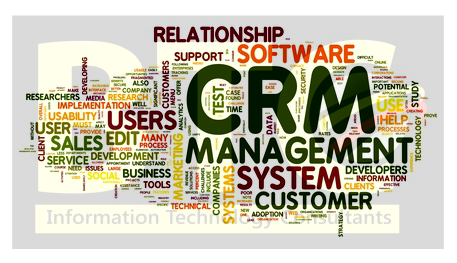 The experience of CRM software has been wonderful for over the years, especially in the UAE where most of the customers come from all over the world so its value has multiplied as the core responsibility of this software is to engage the customers by providing them maximum satisfaction. Now, let us find out how CRM software helps the businesses in UAE to engage the customers in a large scale and improve their experiences as well. The customers want an easy interaction with the company and if you are not able to do that, you will never develop customer engagement. With the help of CRM software in UAE, you will be able to develop a system through which you will not only be able to manage the list of the potential customers but also develop the sense of engagement with the existing customers. It is also very important to provide excellent and error-free customer support services for handling the queries more efficiently. For taking this task seriously, the best way is to engage CRM software which derives a plan through which integration of the customers, converting the potentially strong people and management of the leads can be performed intelligently. As described earlier, the most important thing which should be performed by all the businesses is to develop an emotional relationship with the customers. It can only be done if you are approaching every customer personally which can easily be done with the help of CRM software. These practices are performed by this system is through collecting the data of chat conversations, emails, call recordings and social media posts and after that, some algorithms are used to integrate the whole data. If you are using CRM software, you are able to communicate with your customers more aggressively through which you are able to engage these people for a longer period of time. Whether it’s providing customer information or predicting future market trends, CRM has always a role to play. It widens the client-company relationship as it covers every single meeting and touch point. Customer relationship management software has not just helped businesses prosper over the period of time, but proven its importance for the same. The change in customer behavior and their interaction patterns can be easily tracked by use of CRM. Hence, today the main aim of the CRM is to aid customer engagement. This forces businesses to make continuous upgrades in the CRM structural design, which helps them to understand customers better. Ask us more about improving your customer relations with our experts.